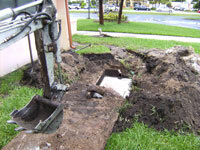 Whether it's a residential or commercial plumbing problem A1 Underground and Plumbing Services can handle it. Through years of experience and dedication we have dealt with clogged toilets to replacing all the sewer and water pipes for a hotel. Every customer is important and every job gets the same attention. Every repair or new installation has a one year warranty. 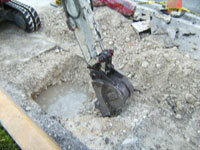 We have equipment that can locate where the problem is below the foundation without cutting or destroying floors. 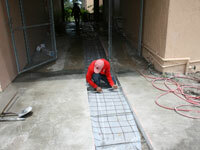 We remove, replace and restore concrete, asphalt, pavers, rocks, plants and grass. All of our work comes with a one year warranty. Using the newest camera technology we are able to make a recorded video showing the inside condition of pipes above and below the foundation. 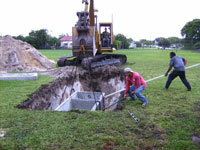 From excavating to backfilling A1 Underground can locate locate and fix all sewer problems with minimal damage. 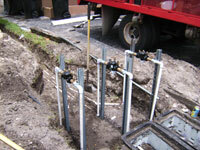 By installing new drain systems we can redirect extra rain/drain water to areas to prevent flooding. 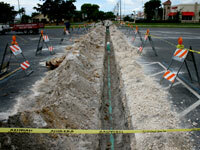 From repairing water lines to taping water mains and installing new water pipes we cover all basis. 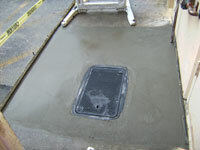 By snaking or jetting we can clear clogged toilets, sinks, drains or pipes.